First of all, below are listed the categories of personal data subject matter of the processing: name, surname, address, e-mail address, and tax code. The processing of the above mentioned data, by CODUTTI FORNITURE SRL, may concern not only the processing of data related to the services for the supply of movable property, but also communications and/or submissions (by e-mail, text messages, snail mail, telephone contact, etc.) - also through automated means and as a result of you entering your data in the FORM of the website and providing consent to the processing - of information and commercial offers, advertising/information material related to promotional goods and/or services offered by CODUTTI FORNITURE SRL and invitations to participate to Exhibitions, after your express consent. The processing of the Data is carried out in compliance with the principles of fairness, lawfulness and transparency established by the Regulations and concerning the personal data of natural persons of which the undersigned Company may become aware by virtue of the supply of the aforementioned services. The Data Controller does not fall under the categories referred to in Articles 37 to 39 of the GDPR for which the appointment of the Data Protection Officer is mandatory. The processing of personal data is aimed at the correct and complete implementation of the supply of furnishing solutions; in particular, the data are processed to fulfil the obligations related to the business activity of CODUTTI FORNITURE SRL and more specifically for the supply/sale of furniture, furnishings, and - with express consent - for the communication and/or submission (by e-mail, SMS, snail mail, telephone contact, invitations to exhibitions, etc.) 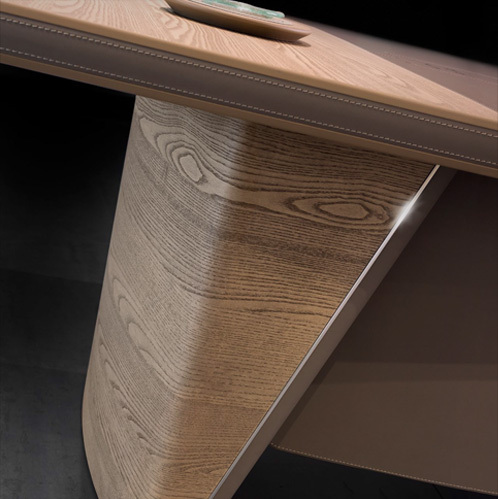 also through automated means and as a result of you entering your data in the FORM of the website and providing consent to the processing of information and commercial offers, advertising/informative and promotional material concerning the goods and/or services of CODUTTI FORNITURE SRL also if different from those already purchased. In particular, in the case of sale/supply of goods, the data are processed to fulfil contractual obligations and administrative, fiscal and accounting obligations required by law; to carry out any further contractual obligation with clients and suppliers; to manage support services on goods and/or services provided by the company; to allow performing activities with external contractors and for any further operational-management activities related to the existing relationship. In the case of submission/communications of a commercial nature in the manner described above (letter C) paragraph 1), the data will be processed with your express consent. In the context of the aforementioned processing, common data (such as name, surname, subject, and contact details) concerning you - in your capacity as legal representative of the company - and common data concerning the shareholders and parties operating within the company or on behalf of the company, are also processed. In the case of supply/sale of goods, since the data processing is necessary to enter into and implement a contract to which the interested party is a party or to implement pre-contractual measures adopted on his/her request, the legal basis for the processing is that established in Article 6, paragraph 1, letter b) of the GDPR and therefore the fulfilment of an contract. In the case of communication and/or submission (by e-mail, text messages snail mail, telephone contact, invitations to Exhibitions, etc. ), also through automated means and as a result of you entering your data in the FORM of the website and providing consent to the processing of information and commercial offers, advertising and promotional material concerning the goods and services offered by CODUTTI FORNITURE SRL the legal basis of the processing is the express consent for the specific purpose pursuant to Art. 6 paragraph 1 letter a) of the GDPR. The Data Controller does not process data based on legitimate interests pursuant to Art. 6 paragraph 1 letter f) of the GDPR. The data may be communicated to parties pursuant to Art. 29 of the GDPR which carry out the processing under the authority of the Data Controller or Data Protection Officer which have legitimate access to the personal data as a result of a written appointment for the data processing; to parties whose access is required and governed by provisions of law or regulations; credit institutions for the management of receivables and payments, external parties pursuant to Art. 28 as Persons in Charges of the processing who carry out the activities on behalf of the Data Controller; parties that perform tasks related to the execution of the agreement such as lawyers, consultants, carriers, forwarders, IT service providers, and more. The Data Controller processes the data in a foreign country. In the event of transfer of data to third countries, the Data Controller must ensure the existence of adequate guarantees as required by the EU Regulations in order to ensure a high level of protection for natural persons; in the absence of such guarantees, the transfer will not be carried out. The data are stored for a period that is no longer than strictly necessary to implement the purposes for which they were collected and processed and for additional tax obligations required by current legislations and to be able to assert or defend rights before the Courts. The interested party may exercise the rights referred to in Articles 15 to 22 of the GDPR; in particular, the right to access the data (Art. 15) allows the interested party to obtain confirmation whether or not the data are being processed and, if so, the right to access them; the right to rectification and integration (Art. 16) allows the interested party to request the correction of his/her data; the right to erasure/to be forgotten (art. 17) allows the interested party to request and obtain the erasure of his/her personal data when at least one of the following cases occurs: 1) the need for the processing for the original purpose no longer exists; 2) consent is withdrawn; 3) opposition to processing; 4) unlawfulness of the processing; the right to limitation (art. 18) applies to the interested party in the event of a dispute about the accuracy of the data for the time period necessary to check its accuracy; or if the processing is unlawful and the interested party chooses not to oppose but to exercise the right to limitation; the right to data portability (art. 20) allows the interested party to receive in a structured format that is commonly used and readable by an automatic device, his/her personal data and to obtain the transfer of the said data to another Data Controller specified by the interested party, the right to opposition (art. 21) allows the interested party to oppose at any time the processing of his/her data concerning when the legal basis which made the processing lawful is no longer applicable; the right not to be subjected to automated decision-making processes (profiling) (art. 22) which may give rise to legal effects capable of having a significant impact on the person, except where such a decision is necessary for signing or executing an agreement or is authorised by the EU or is based on the explicit consent of the interested party. The interested party that provided consent to the processing of his/her personal data for one or more specific purposes pursuant to Art. 6 paragraph 1 letter a) (in this case withdrawal of consent to the submission of marketing communications) may withdraw said consent at any time, exercising this right by sending a notification by Certified email (PEC) to the following PEC E_MAIL address or by registered letter with notification of receipt to be sent to the registered office of the company as specified above. The interested party, as a result of entering his/her personal data in the FORM of the website and providing related consent to the processing for marketing purposes, may withdraw his/her consent at any time, even by clicking on the unsubscribe link shown below. The interested party has the right to lodge a complaint at the Data Protection Authority against the processing of his/her data in the event that said processing does not comply with the EU Regulations. In case of supply/sale of furnishing items, the provision of the data by the interested party is a necessary requirement for entering into and executing the contract. Thus, the interested party must provide the data in order for the contract to be implemented. Refusal to provide data makes it impossible for CODUTTI FORNITURE SRL to supply/sell the goods. Regarding the data processed for communication and/or submission (by e-mail, text messages, snail mail, telephone contact, invitations to exhibitions, etc.) - also through automated means and a result of the interested party entering his/her data in the FORM of the website and providing related consent to the processing - of information and commercial special offers, advertising and promotional material on services similar to and additional to the ones subject matter of the contract signed between the parties, please note that this data processing is not mandatory. However, the consequence of refusal to provide the data will lead to the impossibility for CODUTTI FORNITURE SRL to carry out the marketing activities mentioned above concerning the interested party. In carrying out the purposes of the data processing established herein, the Data Controller does not apply any automated decision-making processes pursuant to Art. 22 paragraphs 1 and 4. In the event that the Data Controller wishes to process the data of the interested party for a purpose other than the one for which the data were collected, prior to such processing the Data Controller shall provide information related to such different purpose and any further information referred to in paragraph 2. - for communication and/or submission (by e-mail, text messages, snail mail, telephone contact, etc.) - also through automated means and as a result of you entering your personal data in the FORM of the website and providing consent to the processing - of invitations to exhibitions, information and commercial offers concerning the supply of furniture produced by the Data Controller, advertising/information and promotional material on each category of goods produced by CODUTTI FORNITURE SRL, even if different from those already purchased. Dear customer, Codutti Furniture srl It is a company committed for over half a century in the production of executive furniture that, thanks to exclusive workmanship and high quality materials, is able to adequately enhance the high level office space. Our goal is to provide a high quality product and an attractive design that allows our customers not only the best efficiency, but also the expression of their own personality with tailor made customizations. On the following pages we will present our reality and the values that we propose to the most important companies and institutions in the world. Codutti Furniture S.r.l. was born in order to keep a tradition that, since 1954, associates the brand Codutti with prestigious and high quality furniture. 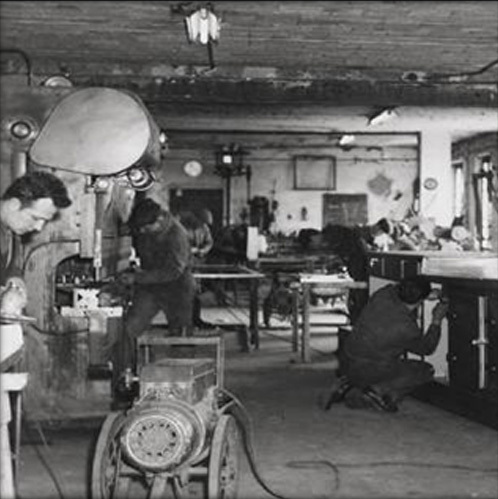 Born from the commitment of 3 brothers in a little country workshop, the quality and the reliability of its products allowed Codutti to enter in a short time the market of luxury furniture, by supplying furniture for two important cruise ships. Raffaello and Michelangelo, which were the pride of italian fleet in '60s. Over the years the company made increasingly clear its vocation for the manufacture of luxury furniture, developing particularly the office world. 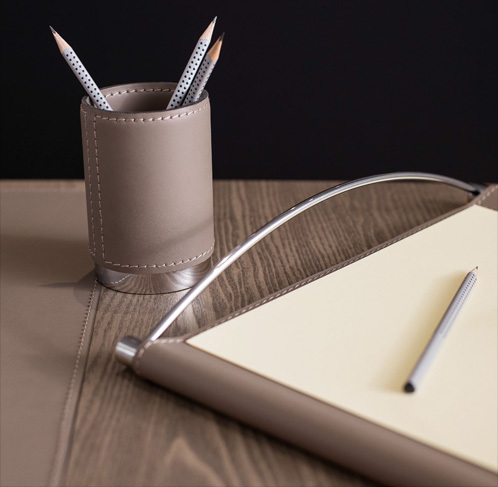 The classic wooden proposals, was accompanied by a masterful processing of leather that has become the distinctive element of Codutti furniture and that brought our products in the most prestigious offices in the world. 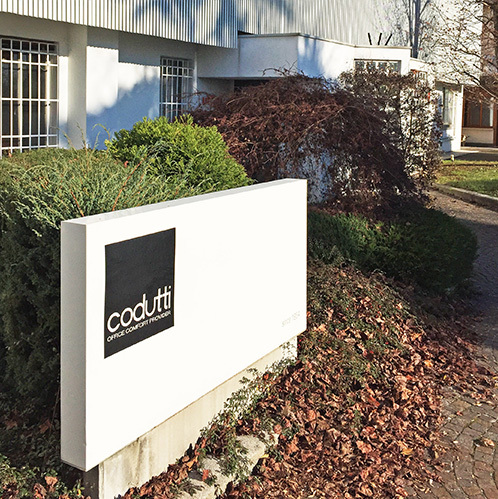 If the craftsmanship and attention to detail have made Codutti synonymous with luxury and quality, has not been neglected the opportunity to offer, to those who want to coordinate the entire own environment, even operative furniture that in the 80s have become be part of the proposal through the Codutti Axilon brand. Codutti Furniture Srl today is a company projected to the future with a steady research that allows to offer offices with new materials and technological contents for the new leading class. High level of products customization, both on the classical collections and on the modern ones, is the fundamental added value that turns the prestigious Codutti's office into a absolutely exclusive environment where the handcraft care emerges from every detail. Codutti is present in the major world markets through the export of high quality executive furniture. An offer based on 8 collections with unique design and instantly recognizable can meet the needs of the most demanding customer all over the world. Every single piece is internally designed and carefully tested to ensure maximum quality and compliance with the directives relating to ergonomic and functionality. The technical department of the Codutti is permanently available to the customer for the development of proposals for highly functional furniture, without ever losing sight of both the particular operational requirements and the aesthetic or stylistic feature of the environment to be furnished. The preparation of technical drawings and layouts appropriate to the project allows the customer to make a precise and conscious choice of their furnishings, completed by the certainty of being able to count on solutions specifically designed to meet their needs, even the most unusual. The high level of quality of Codutti's products born from carefully crafted workmanship. All wooden and metal parts are worked by numerical control machines that ensure maximum precision and reliability in the result. 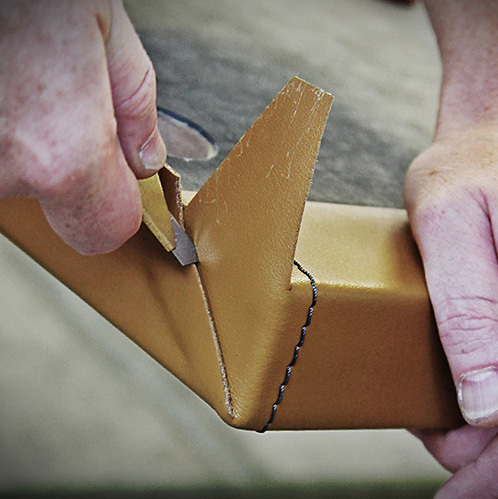 All parts in thick leather or thin leather are strictly hand-crafted following the dictates of traction. This allows you to give the due care and attention to every single piece so that it can deserve the Codutti brand. Codutti has always been committed in the research of materials that, in addition to defining the furnishing preciousness, are in harmony with the environment. Materials such as wood, leather, metal, glass and stone that are enhanced in their essence through processes that do not denature their essence. Plastic and synthetic materials are relegated to applications where alternatives are not available, then they occupy a very marginal role. A product of excellence deserves an excellent service. 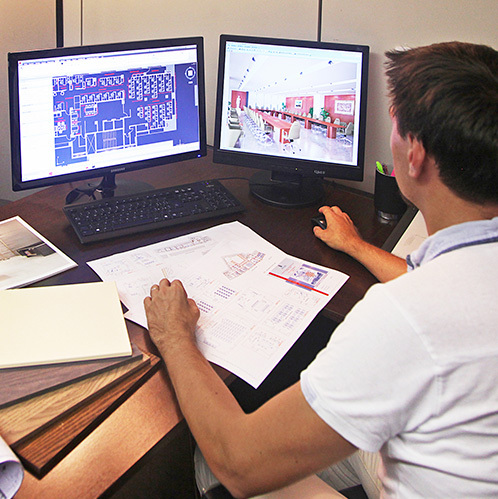 Our back office is always available to the customer to ensure timely information throughout the sales process and to ensure the complete satisfaction of the final client, even after the installation. The furnishings of greatest prestige are identified by a serial number and a certificate of authenticity which establishes exclusivity in the production and that gives maximum control over each component produced. This is accompanied by the availability of a maintenance kit for keeping each piece of furniture in its optimal conditions through a range of specific products for the cleaning and the maintenance of wood and leather.